Why Can’t We Talk About Guns? An NRA video making the rounds online has been called everything from an open call to violence to protect white supremacy to a condemnation of violence. “The only way we save our country and our freedom is to fight this violence of lies with the clenched fist of truth,” says NRA spokeswoman Dana Loesch in the ad. Subsequent NRA videos are more political but equally divisive. The debate over guns in America has never been easy – but is it getting harder to keep it civil and useful? We asked the NRA and Loesch to appear on this show, but did not hear back. Adam Winkler Law professor at UCLA and author of "Gunfight: The Battle Over the Right to Bear Arms in America"
Dan Gross President, Brady Campaign to Prevent Gun Violence. As a nation that arose out of armed rebellion, the United States has had a long, close relationship with guns This relationship is also personal for many Americans. 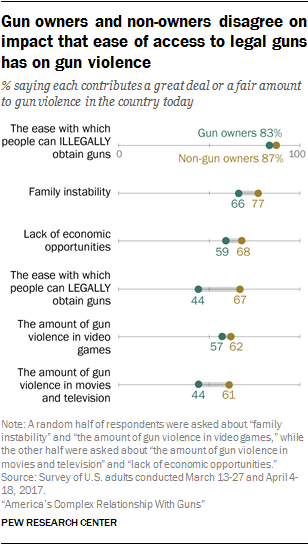 A recent Pew Research study found that four in ten Americans live in a gun-owning households. What’s more, most gun owners own multiple guns. And many of them keep a loaded firearm within reach. 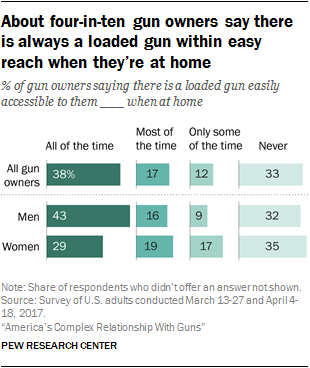 Of these gun owners, about ten percent of those who have handguns say they’re armed all the time. Why do they own and carry these guns? 67 percent of gun owners cited protection. 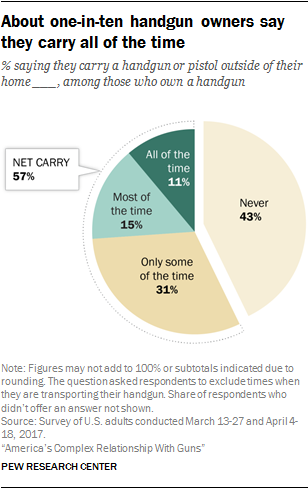 38 percent said hunting and 13 percent said their guns are part of a collection. But also, guns have a deeper meaning for many gun owners. Who are the gun owners in America? According to the Pew report, men, white Americans and people outside of the Northeast are more likely to own guns, but the discrepancies by demographic aren’t as extreme as it may seem. 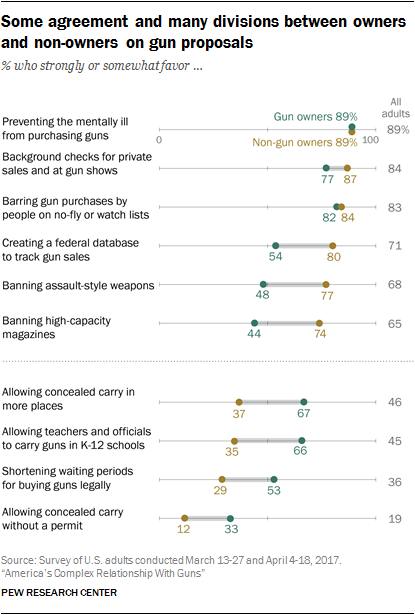 As might be expected, there are divides between what gun owners and non-owners think about the effects of guns on society. But, as the Brady Campaign asserts, Americans have more common ground on guns than the rhetoric suggests. 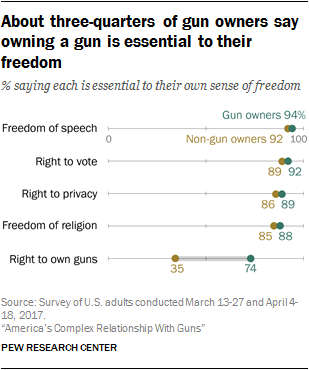 And Pew found that gun owners don’t disagree on everything.